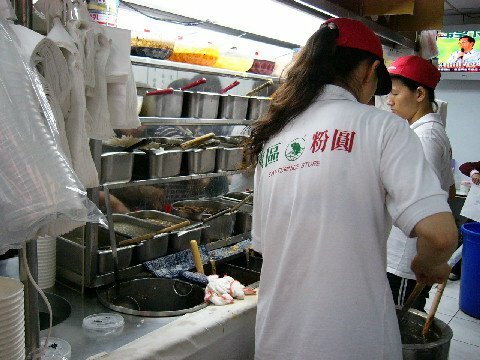 Tong Yuan Dessert is usually the next stop following Wei Lu (I have a routine going on this food trail). 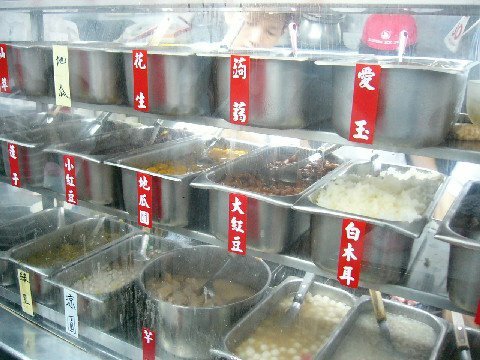 It’s a short walk from the hot pot restaurant and the desserts here are great for cooling down the steamed up palate. Tong Yuan serves an interesting array of desserts that is very similar to chng tng in Singapore. 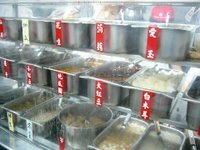 But only in Taipei do you get to select the combination of ingredients that goes into the dish. 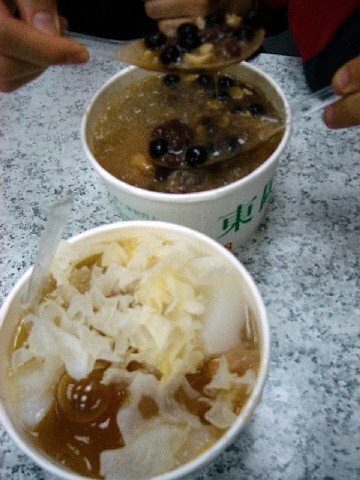 The items available are mindboggling but my favourites (its NT$45 for up to four ingredients) are the steamed sweet potato and yam, mu er (a crunchy fungus) and the chin chow (a dark jelly with a mild herbal taste), they drown this is a light sweet syrup and ice. You can also choose to have this hot (this works particularly well in Winter). Did you make this site yourself? Please reply back as I'm looking to create my very own website and would love to find out where you got this from or just what the theme is named. Thanks!